* I received the following products in exchange for my honest review by Pahlish. I have newer Pahlish colors to share with you today. 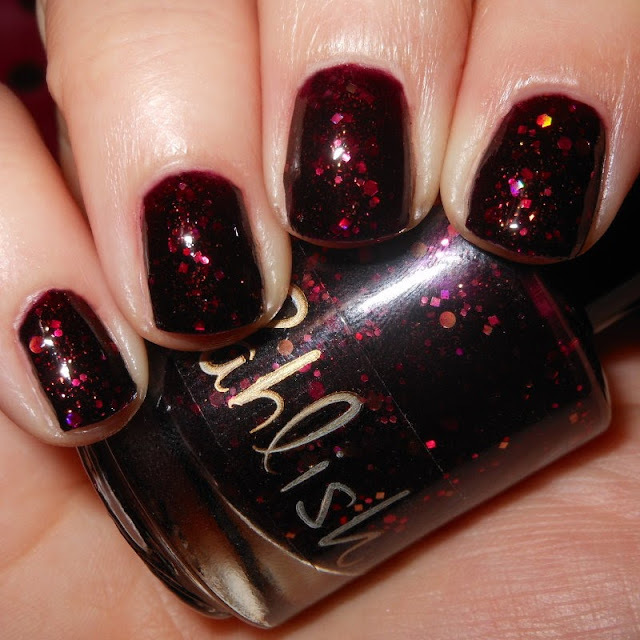 I have a few Pahlish polishes (fun to say), and what I love about Pahlish is how they master the jelly glitter. 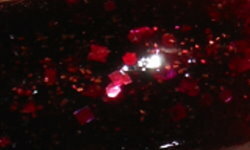 I love a glitter topper, but jelly glitters are pretty awesome. I love how glitters and shimmers in jelly bases peek through the coats of polish. I think you'll like these next polishes for that reason. Fever and Mirrors is a deep wine jelly with gold shimmer, gold circles, holographic gold squares, and scattered holographic gold hexes. 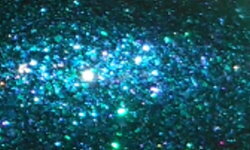 Greenery and Humid Air is a deep teal jelly polish with an assortment of purple, aqua, and pink shimmers accented by sparse holographic shimmer and green microglitters. Colors: These are brilliantly rich jewel toned colors. When I think of fall and winter these are the types of colors I want to sport. These are all that, but elevated with the addition of glitters and the jelly base. I don't have colors like this in my collection, and I'm very glad I do now. Formula: The polishes applied well. Greenery and Humid Air, I used three coats. However, you will need to take a little extra care when applying Fever and Mirrors. I used 4 coats to achieve the look above. I recommend using thin coats and waiting a little bit between each coat. This will help avoid any dragging of the base. Price: These are $9.00 each on Pahlish's website. *Note: Store site will open at 7pm central tonight (9/6)! Overall: I can't get over how rich and luxurious these colors are. They are exactly what I've been craving. If you've been let down by some of the mainstream brand fall collections, I think these will tickle your fancy for sure. Fever in Mirrors really stands out to me, and it has gone on my list as a contender for my Top 20 of 2013! * The above products were sent to me for review. Be sure to follow Pahlish on Facebook! Fever and Mirors is beautiful! So vampy and sparkly I love it! I love these both so much! I must try and get some Pahlish sometime :). These are both very pretty, Fever & Mirrors is my favorite! I'm in love with Greenery and Humid Air!! Love her polishes! Mmmm, I love a good glitter jelly! Oooooh Fever & Mirrors is beautiful! Makes me think of Christmas too. Thanks! I love a vampy blackened red, so yummy! Mine too! I can't get over how gorgeous that vampy red jelly base is! Thanks! I agree, maybe that's why I'm so partial to it! I love Christmas colors. Red and gold is a great combo!